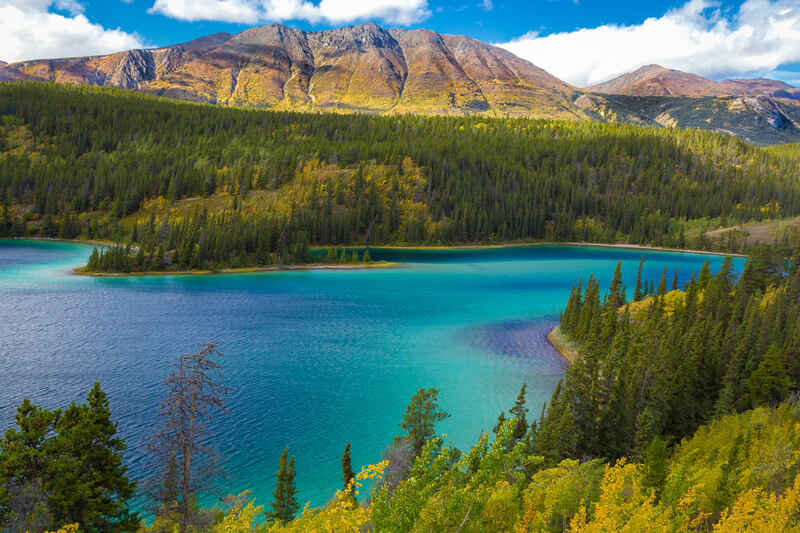 The deep blue-green waters of Emerald Lake, nestled in the mountains just north of Carcross, Yukon Territory, Canada. 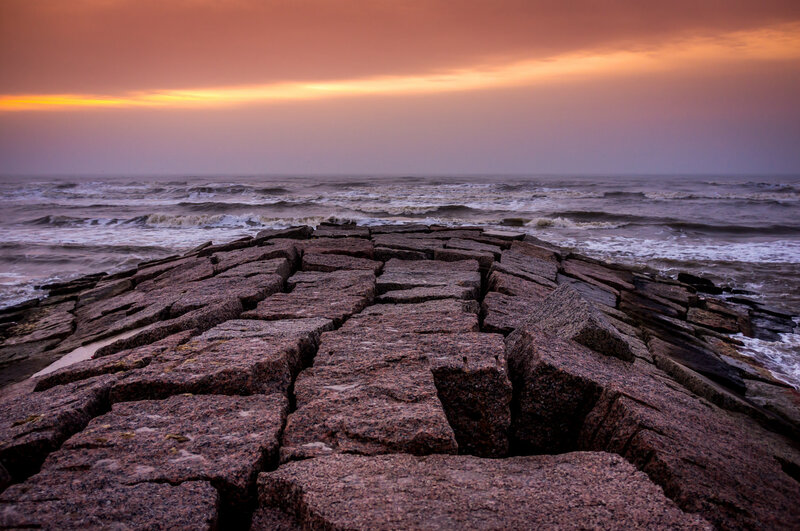 Texas pink granite forms a jetty or, more-accurately, a groyne, jutting out into the early-morning sun-painted Gulf of Mexico from Galveston Island, Texas. 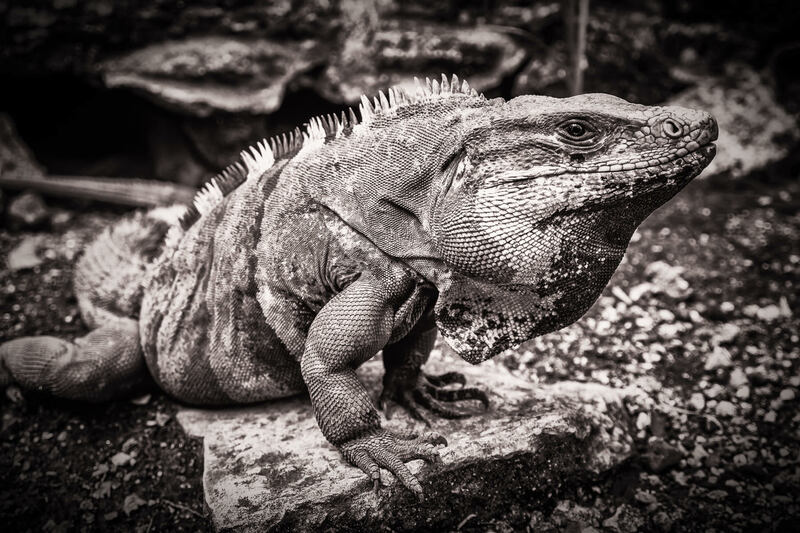 An iguana basks in the sun at the Mayan ruins at San Gervasio, Cozumel, Mexico. 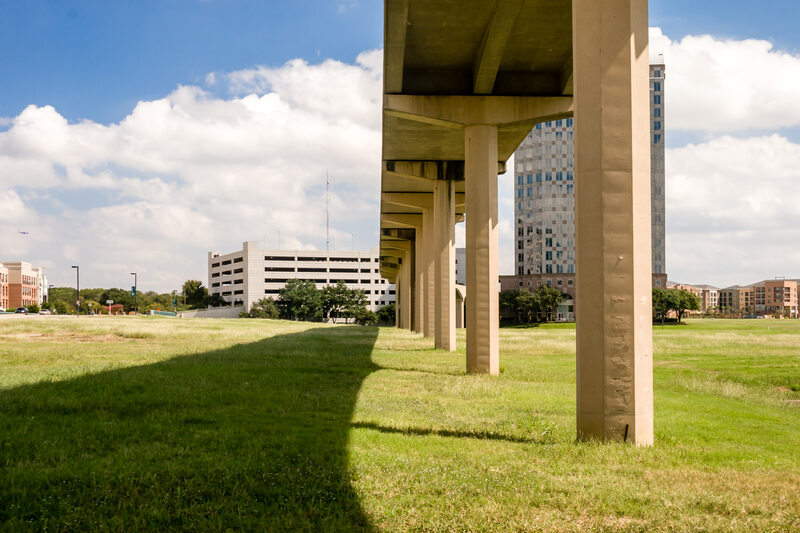 The rail track for the Las Colinas People Mover, Irving, Texas. 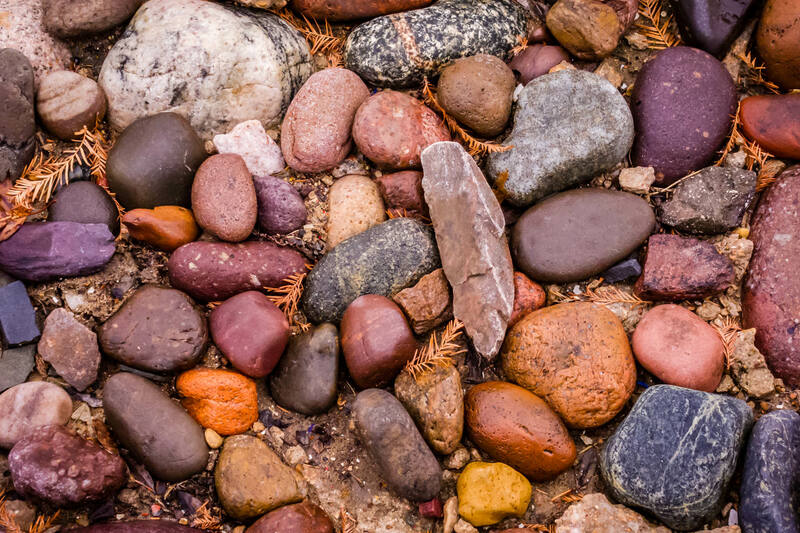 Colorful stones spotted in Plano, Texas. 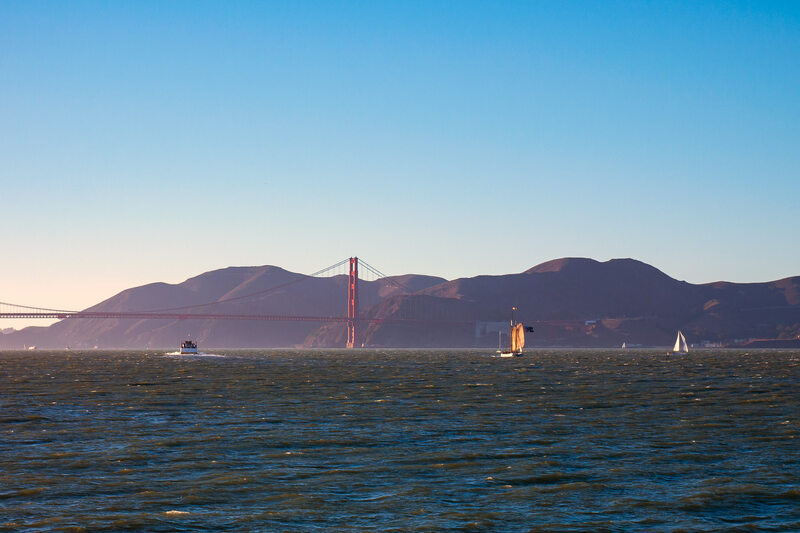 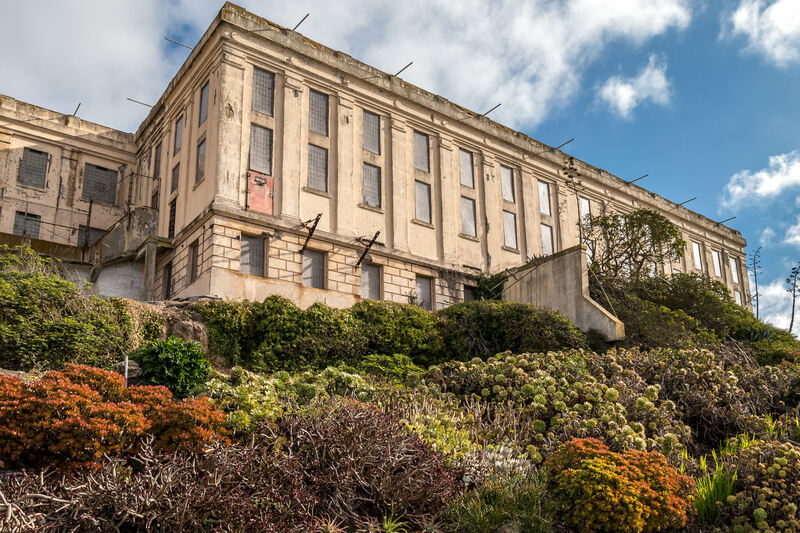 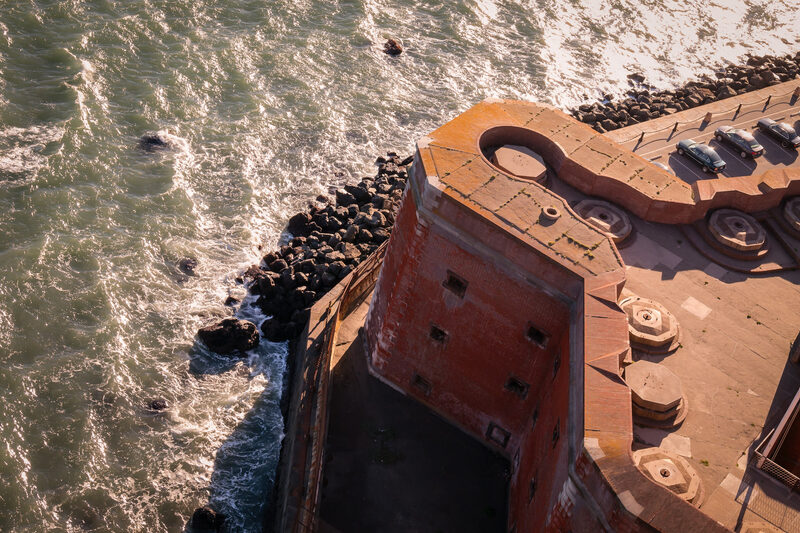 The surf of San Francisco Bay churns around the rocky shoreline at historic Fort Point, as seen from the pedestrian walkway on the Golden Gate Bridge. Detail of floodlights outside of New York New York Hotel & Casino, Las Vegas.